Do you have questions about a possible Nursing Home Wrongful Death Lawsuits case? Contact us now using this confidential form. We'll help you get answers. When a nursing home’s carelessness leads to injury, the injured resident has a personal injury case. When that injury causes the resident’s death—whether immediately, or over time—the resident’s family has a case, too, called a “wrongful death” case. Are Wrongful Death Cases Different? How Do We Know if a Death Was Caused by Negligence? What Types of Nursing Home Neglect Can Cause Death? How do I Hire You to be my Nursing Home Wrongful Death Lawsuits Lawyer? While the resident’s case is for pain and suffering, in Ohio, the wrongful death damages for the resident’s family involves their loss of relationship and mental anguish—including grief—from losing their loved one. The wrongful death case is based on a statute, Ohio Revised Code Chapter 2125. The first legislation regarding wrongful death in Ohio appears in 1851. It was very similar to an English act that was enacted in 1846. The legislation in Ohio differed slightly in regards to the statute of limitations– two years, instead of one. A wrongful death is the result of a person’s negligence, a wrongful act, or default. When someone acts and the result is the death of another person Ohio laws provide that the family of the deceased can receive justices in the form of a monetary award. Nursing home wrongful death cases are different. Beyond proving the negligence, and that negligence caused an injury, you have to prove the injury caused the person’s death. That is not easy when there may be days or weeks between an injury and death. Especially with the average nursing home resident having medical issues already. Unless the medical examiner is informed about the injury or negligence—not terribly likely—they might determine the cause of death was related to those underlying conditions. The nursing home may fight the issue of whether their carelessness caused the resident’s death, even if they admit negligence and injury. By admitting negligence and injury, the nursing home’s lawyers hope to have jury cut off their liability with the death. This is called “causation”: whether the jury finds the nursing home caused the death. Wrongful death cases also require a lawyer to be knowledgeable about grief, loss, and persuasively communicating loss to total strangers (the jury). That is no easy task, especially for a lawyer who is primarily handling injury cases. 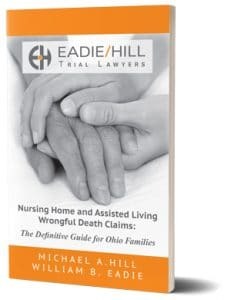 Combined with the unique nature of nursing home litigation, nursing home wrongful death cases are a difficult and complicated type of case requiring experience. Do you have questions about a possible Nursing Home Abuse and Neglect case? Click below to start an investigation with us. We'll help you get answers. Nursing home residents almost always require the care of professionals for daily living needs, medical needs, or cognitive needs, which is why they are in nursing homes in the first place. When a nursing home is careless, and injures a resident, your lawyer will have to prove the injuries were caused by the negligence. Things get a lot more complicated when the resident dies in the ensuing days, weeks, or months, because their death may or may not be related. 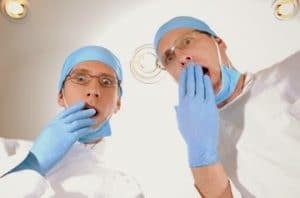 Proving that connection requires medical expert to review and determine the death was caused—at least in part—by the negligence-caused injuries. One of the key factors is the resident’s underlying health issues. This can cut both ways. If the nursing home injures a resident and the resident dies because the resident was sick, weak, or otherwise unable to recover from the trauma or injury, that is the nursing home’s fault. They do not get a pass because the person they injury was not stronger or healthier than someone else. On the other hand, he nursing home lawyer or insurance company will use the resident’s underlying medical issues as an excuse, by saying it was the medical issues that caused the death, not the injuries caused by the negligence. That’s exactly what the nursing home defense lawyer did in a case we tried to a jury in 2016. Even though the nursing home rolled the resident out of bed and broke her leg, and despite what a traumatic injury that can be, and despite the death 11 weeks later being attributed to the broken leg by the county medical examiner, the nursing home claimed the broken leg had nothing to do with her death. The jury disagreed, and awarded $4.4 million for her death, which included $3 million to punish the nursing home for disregarding the resident’s rights and safety with a great probability of causing substantial harm. While every case is different, and that verdict does not mean any other case will have the same result, it shows how a jury can reject such self-serving arguments by a nursing home. If you would like to discuss your loved one’s situation, injuries, or death at a nursing home, call us at 216-777-8856. A resident’s death can result from any injury that kills in the short term (such as a head trauma leading to a deadly brain bleed) to a longer-term decline from which they never recover. It is the latter case that is more challenging to the lawyers to prove. Nursing home residents require balanced diets that may need to be changed based on their health needs. If a resident needs help eating, needs to be prompted to continue eating due to memory or cognitive issues, needs to be fed with a feeding tube or PEG tube, needs monitoring to prevent choking, or needs special textures (such as softened food, thickened liquids, etc. ), they rely on nursing home caregivers every day to stay alive. Those caregivers are usually some of the lowest-paid, too: often nursing assistants or aides. Understaffing, inadequate training, being rushed, or not supervising employees can lead to deadly malnutrition issues or dehydration, either of which can result in severe weight loss, compromised immune system, skin breakdowns, organ failure, shock, and death. Learn more about Nursing Home Malnutrition and Dehydration cases. If you would like to discuss your loved one’s situation, injuries, or death at a nursing home, call us at 216-777-8856. For older nursing home residents, falls are a matter of life and death. Being older, or on certain medications, can put people at significant risk of brain bleeds or subdural hematomas, which can be deadly if not timely recognized and treated. It can also lead to broken bones, which put significant strain on a person’s energy resources, making them more vulnerable to infections (like pneumonia, urinary tract infections, and infections of the skin), and skin breakdowns (bedsores, pressure ulcers). It may also make the resident less mobile, increasing the same risks, as well as becoming weak and deconditioned. Nursing homes are required to evaluate resident’s risk for falls, and provide care and services to address those risks. Learn more about nursing home fall lawsuits. If you would like to discuss your loved one’s situation, injuries, or death at a nursing home, call us at 216-777-8856. When someone has cognitive or emotional issues that can lead them to wander away from a safe area of the nursing home, or away from the nursing home altogether, they are at risk of severe injuries or death unless the nursing home takes adequate precautions to keep them safe. Wandering and elopement is the cause of many deaths in nursing homes. When residents wander out of safety, they put themselves at risk for dangerous falls, exposure to climate (freezing or overheating), drowning, or even death. Nursing homes are required to evaluate resident’s risk for elopement, and provide care and services to address those risks. Learn more about nursing home elopement lawsuits. Open sores called bedsores, pressure ulcers, or decubitus ulcers, are wounds that form usually when residents are left in the same position for far too long, or extreme pressure for a shorter period. Nursing homes are responsible for providing adequate care and services to prevent new, avoidable pressure wounds, and prevent them from becoming infected. If allowed to progress, or become infected, pressure sores can cause decline and death. Many eventually succumb to sepsis or septic shock as a result. 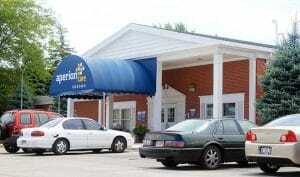 Learn more about nursing home bedsore lawsuits. Physical abuse or assault can occur at the hands of overstressed or criminal staff, or other residents who are not being cared for properly to prevent them from injuring other residents. Nursing homes can be liable when abuse results in death, either immediately in the short term, or if it causes a decline that leads to death over a longer period. Learn more about nursing home assault lawsuits. In some instances, caregivers may forcefully restrain an unruly resident, or in order to make care easier, restrain people who are prone to falling or wandering away. 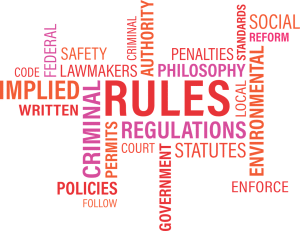 Federal regulations prohibit restraints unless medically necessary—and never simply to make care easier for the nursing home. Because older adults have weaker bones and immune systems, they are at higher risk of broken bones, strains and sprains, skin wounds or tears, suffocation, and death if they are restrained too much or for too long. Unsanitary living conditions are dangerous for older people, who may have reduced or compromised immune systems, are more prone to infection, and may not be able to recover as well-or at all—from infections. Unsanitary conditions can include poor infection controls (staff not adequately washing hands between changing wound dressings, for example), bacteria, mold, poor heating and air, dirty water, and other unsanitary living conditions. Providing too much, too little, or the wrong type of medication to a nursing home resident—once, or multiple times—could seriously injure or kill them. If you would like to discuss your loved one’s situation, injuries, or death at a nursing home, call us at 216-777-8856, or fill out the contact form. You can also read more, including how nursing home abuse lawsuits work. The first thing to do is complete the contact form at the bottom of this page. That way, you can put in details that we can review before we schedule a phone call. You can also call us at 216-777-8856 if you prefer. You will likely not speak to us immediately, but will schedule a phone or in-person meeting. Why? Because we’re busy working on the important cases other families have entrusted to us. Just like we would not constantly take phone calls when we’re entrusted to work on your case. You should also gather all the records and papers you have from the medical providers, go back and look for dates, names, and events that happened, and otherwise prepare to discuss the case. We’ll have a meeting and, if it seems like a case we’d be a good fit for, we’ll move into an investigation phase. Once we’ve investigated, we’ll candidly tell you what we think about what happened, whether the medical provider is to blame, and what we think about the strength of the case. Fair warning: we only take on clients whose cases we believe have very strong merits. We’re not lazy—the cases are still very complex, difficult, and expensive—but the risk to your family of being drawn into a difficult process with little chance of a positive outcome is not something we do. Which means when we do take on a case, our reputation tells the other side this is a serious case we believe in. If for whatever reason we do not take on the case, and we think there is some merit to the case, we’ll try and help you find a lawyer who might take it on. Bobby Copeland, 71, died of a bowel obstruction, the symptoms of which developed while he was in the facility Oct. 25, 2012, said Caleb Connor, an attorney with the Augusta law firm Connor & Connor LLC, which represented Gregory Copeland, Bobby Copeland's son, and the elder Copeland's estate. When a licensed practical nurse asked a physician's assistant if Copeland could be sent to the emergency room, the PA said "no" and ordered tests instead, Connor said. Despite being seen by two registered nurses Oct. 26, he was not taken to the hospital until after the PA arrived later in the morning, he said. Robert Anspach, a Toledo, Ohio, attorney who represented the defendants, said he was disappointed with the jury's verdict and an appeal will be launched. "I personally believe the care provided to Bobby Copeland during his 12 years at Holly Hill was excellent," he said. In the suit, it’s claimed that Daulton, missing a leg from an amputation, was left unattended standing in a shower, resulting in a fall that broke the elderly woman’s leg. And it’s claimed in the suit that Aperion attempted to conceal the error that resulted in the woman breaking her leg.According to the complaint, Daulton’s fall occurred on March 1, 2017. After being left standing alone in the shower, Daulton fell and was found with “her left leg bent at the knee pressed up against the wall and the calf of the left leg resting on the thigh of her right upper leg.” An Aperion staff member called 911 following the incident and admitted to the operator that it was an unwitnessed fall. Lawrence died July 7, 2015, after the nursing home's staff gave her 500 milligrams of the medication over a span of several hours. A doctor had prescribed that she receive just 25 milligrams in that time period, records show. In late June 2015, she began suffering from pneumonia. Her doctor ordered antibiotics and later prescribed 5 milligrams of oxycodone orally every four hours for pain, court records and a state investigative report show. Instead, on July 6 and 7, 2015, nurses gave her five individual dosages of 100 milligrams of oxycodone, records show. Leona Maxim died on August 23, 2013, eleven weeks after she was rolled out of bed for a second time at a nursing home in Solon, Ohio. A Cuyahoga County jury, in a case brought by trial attorneys William Eadie and Michael A. Hill, on behalf of Ms. Maxim's family, sent a strong message about the standards nursing homes must follow and the safety that patients in this community deserve by returning a verdict in the amount of $4,400,000 against the nursing home for causing her death.